Developed by Surrey NanoSystems in the United Kingdom, Vantablack is currently the darkest known material on Earth, absorbing up to 99.96% of visible light (at 663 nm if the light is perpendicular to the material). It’s composed of a forest of vertical tubes “grown” on a substrate using a modified chemical vapor deposition process (CVD), so when light strikes the material, instead of bouncing off from it, the beams become trapped and is continually deflected amongst the tubes, eventually becoming absorbed and dissipating into heat. 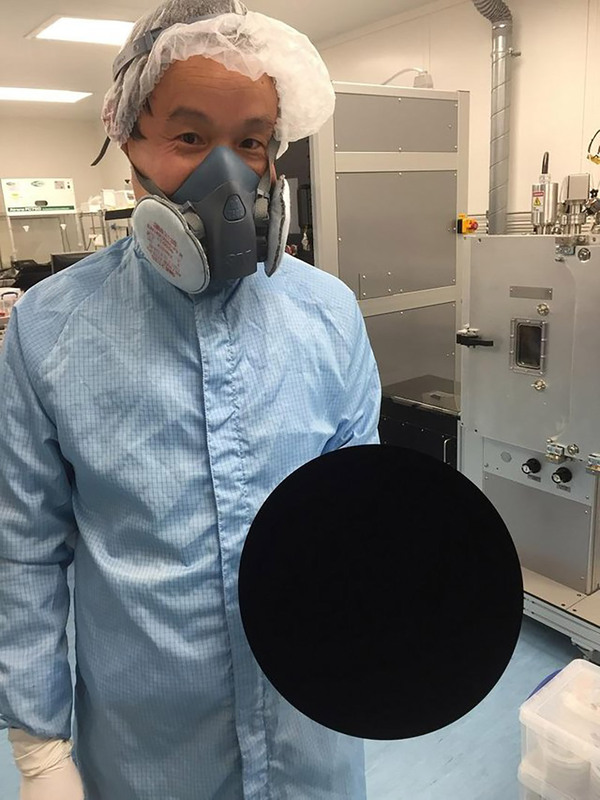 This is what a basketball looks like when coated in Vantablack. Some starfish can be born squared because of birth defects. Son, look at the camera and smile..
What 100 years of Climate Change has done to Arctic Glaciers. Here’s the view from my “Office” at the end of the night.